Vitra is a Swiss family-owned furniture company with headquarters in Birsfelden, Switzerland. It is the manufacturer of the works of many internationally renowned designers. Vitra is also known for their campus in Weil am Rhein, Germany, with buildings designed by many of their leading architects, and in particular, the Vitra Design Museum. We designed and produced the branding for Vitra’s Antonio Citterio’s ID Chair. 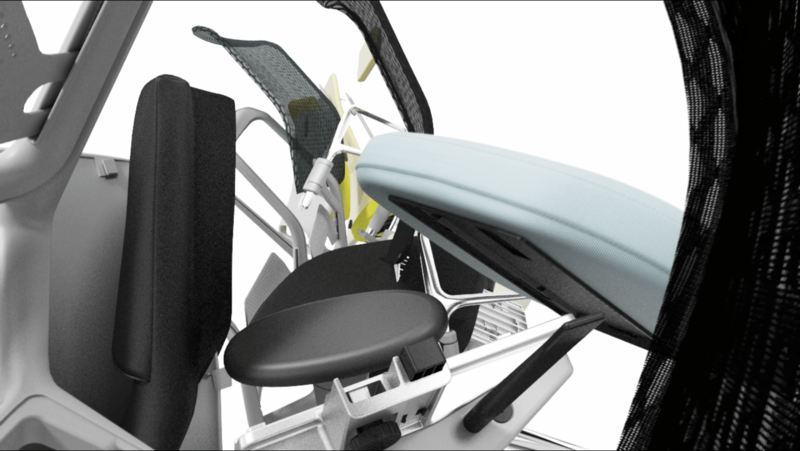 The ID Chair was a radical departure from standardized office chairs and delivered (and still delivers) limitless configurations and customizable options. The campaign was based on a universe of identities—with three main animations, Rollercoaster, Space, and Cruise, as the basis for all creative. Applications included a microsite with a chair configurator (with over 100,000 possibilities), how-to’s, catalogs, digital and print ads, store and trade show displays, and various other product-support animations.